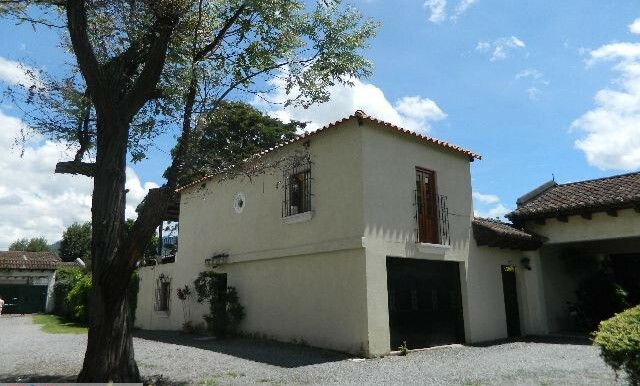 Charming Two level house plus an apartment. 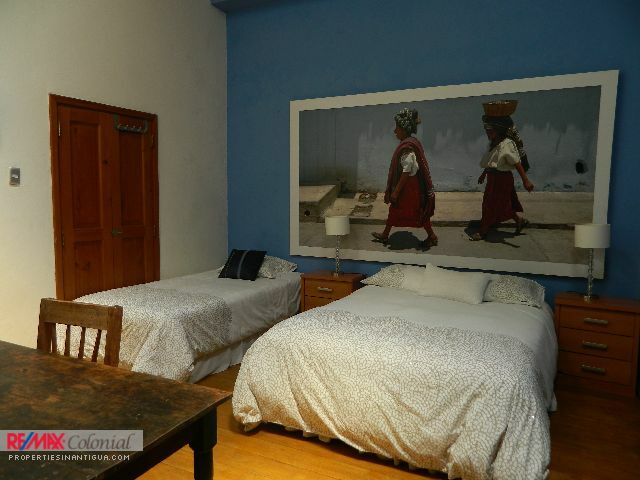 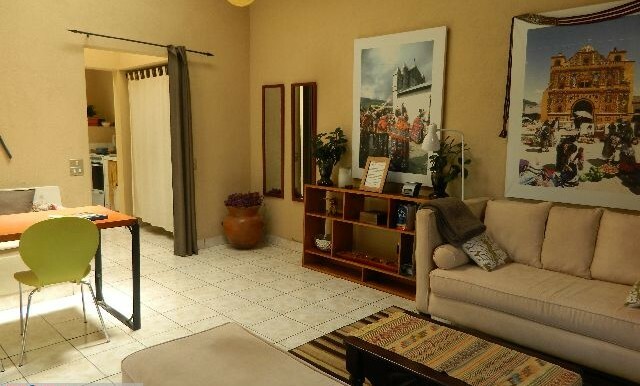 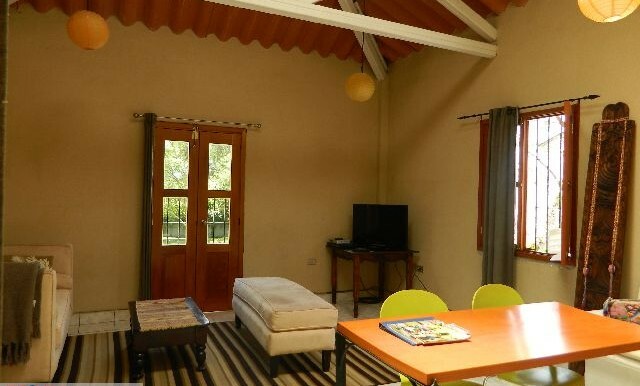 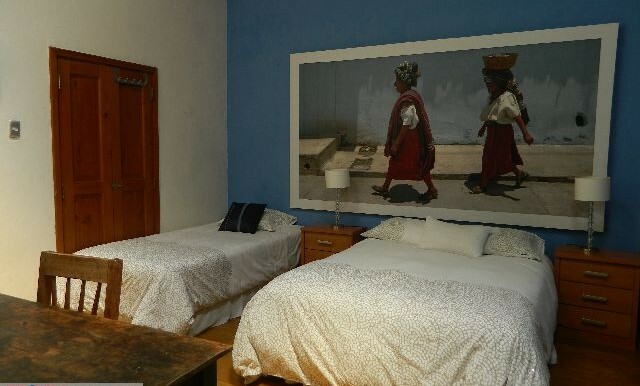 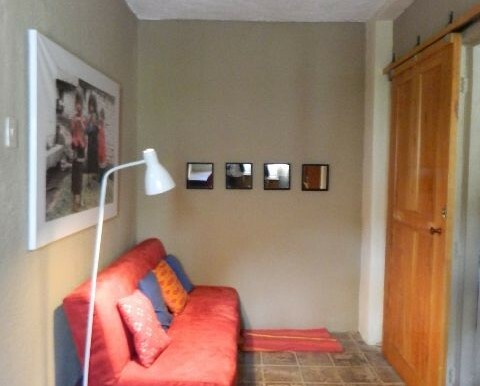 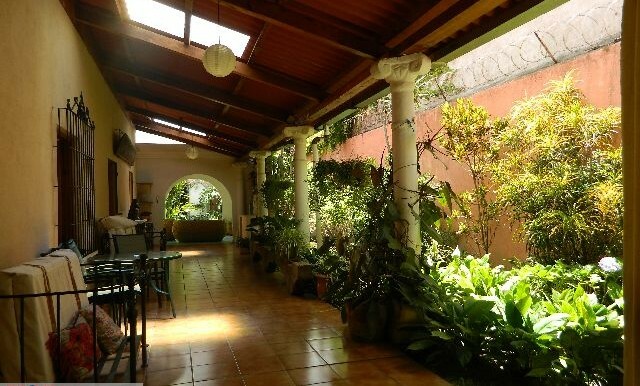 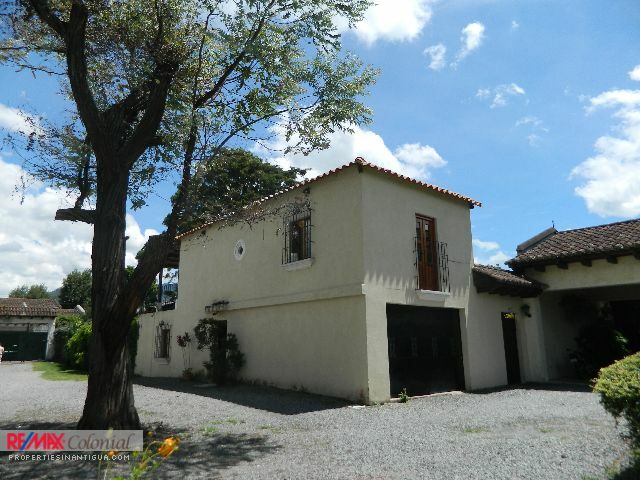 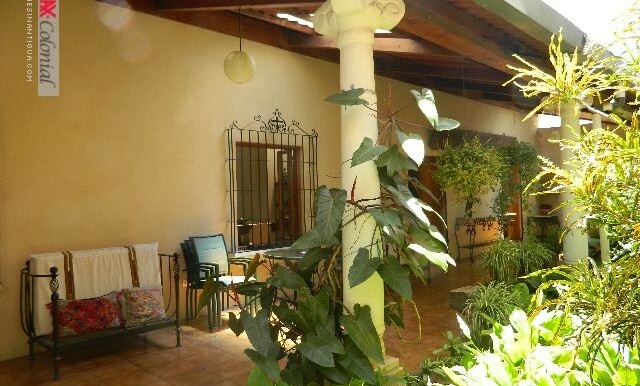 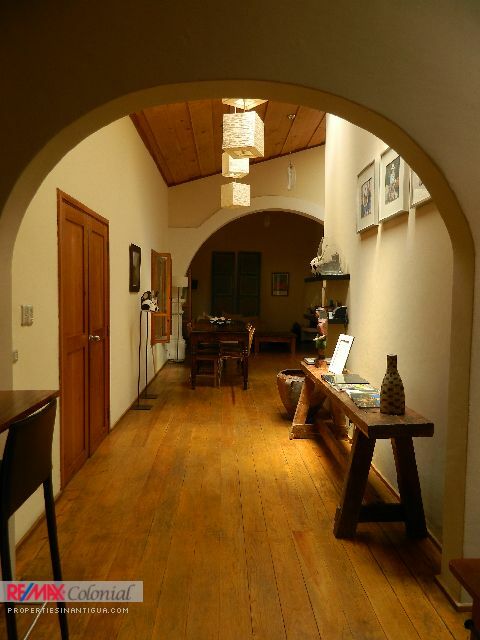 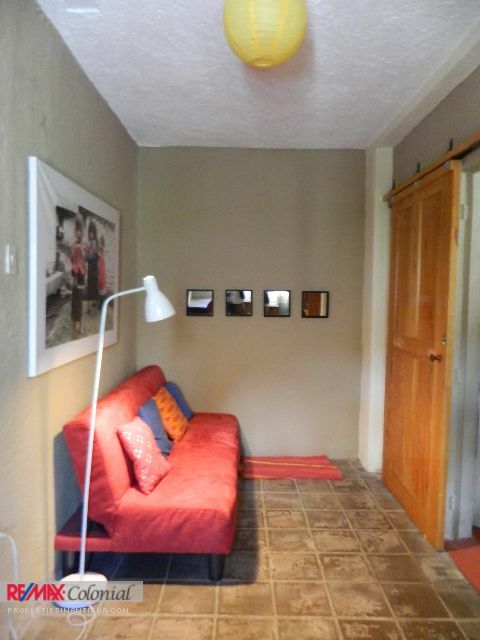 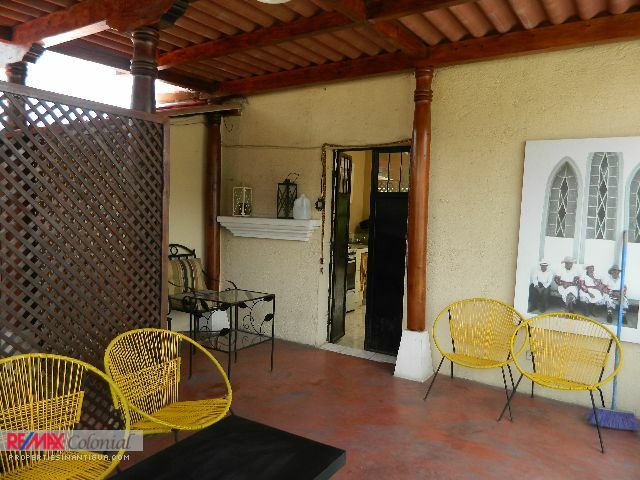 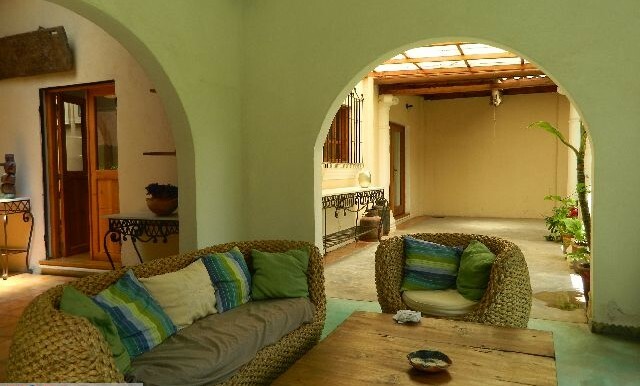 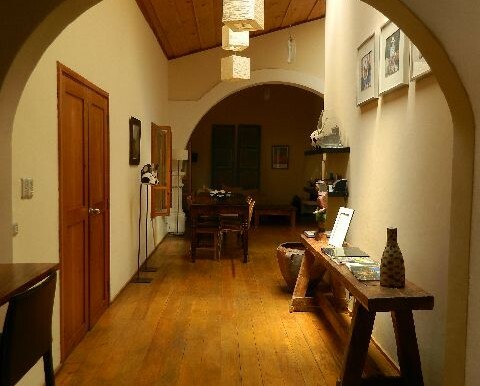 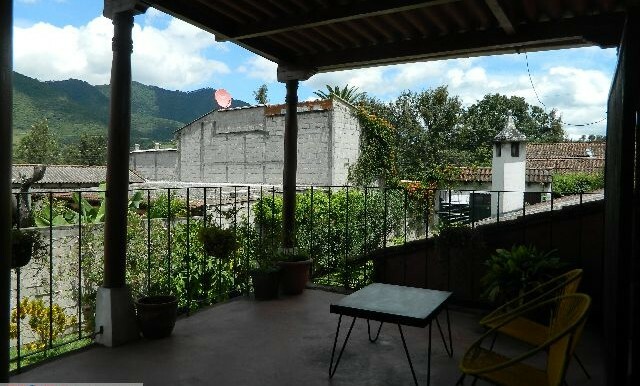 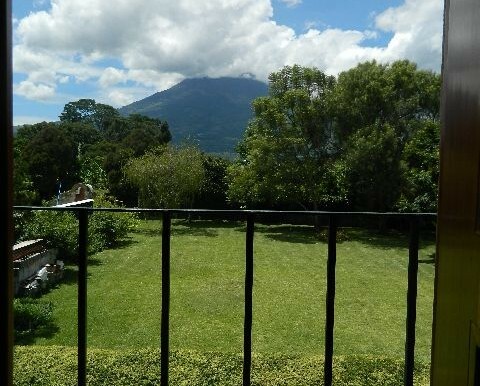 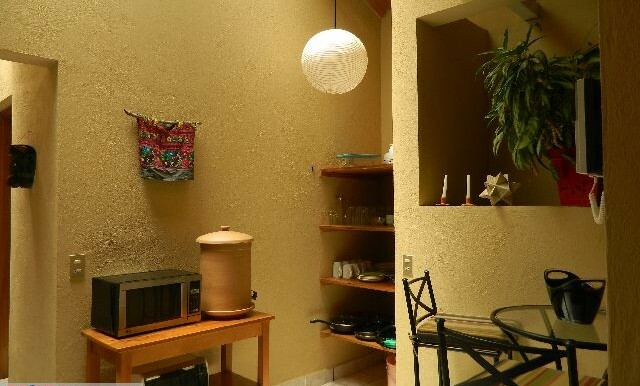 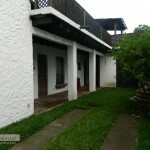 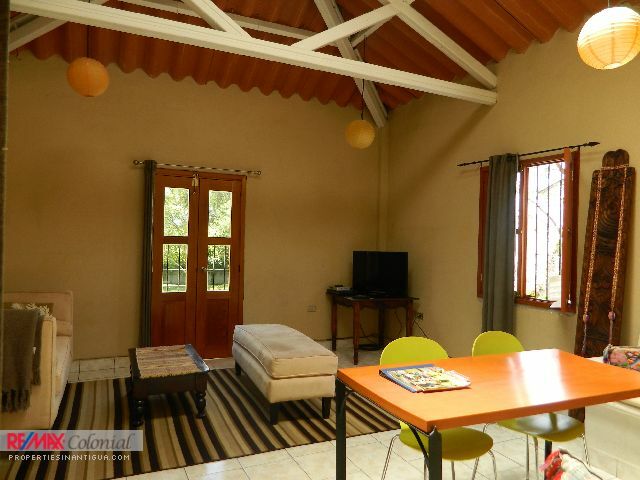 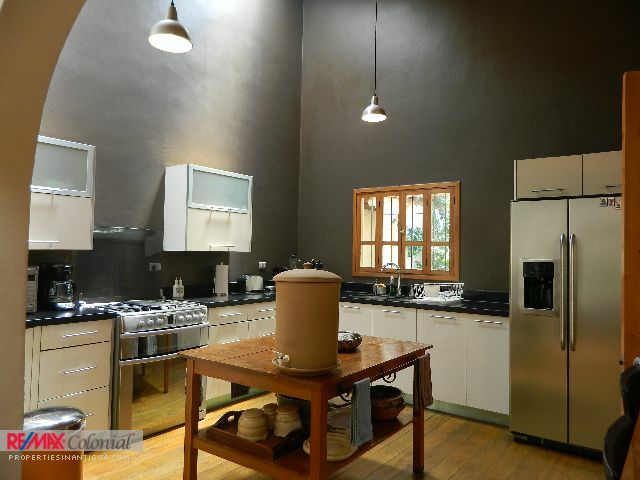 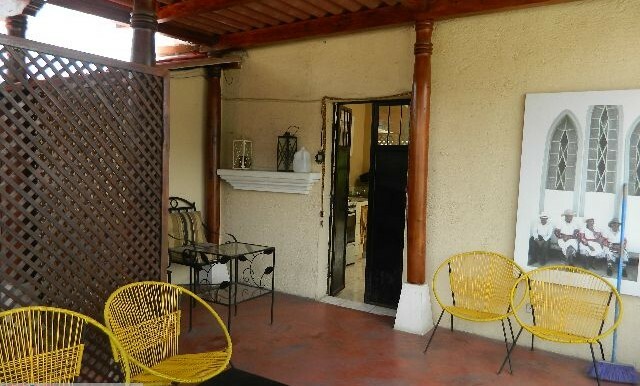 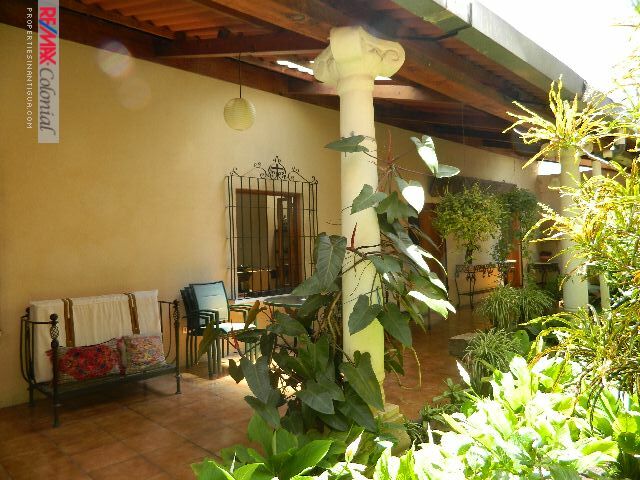 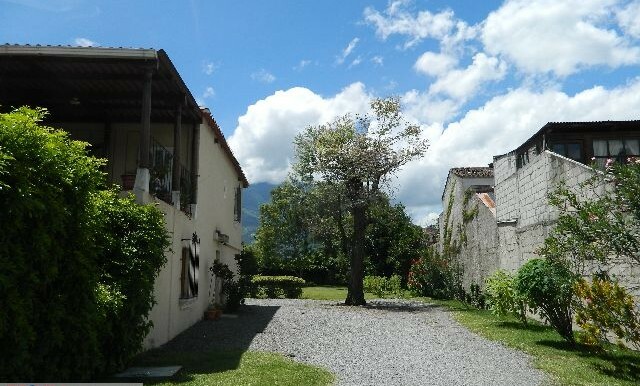 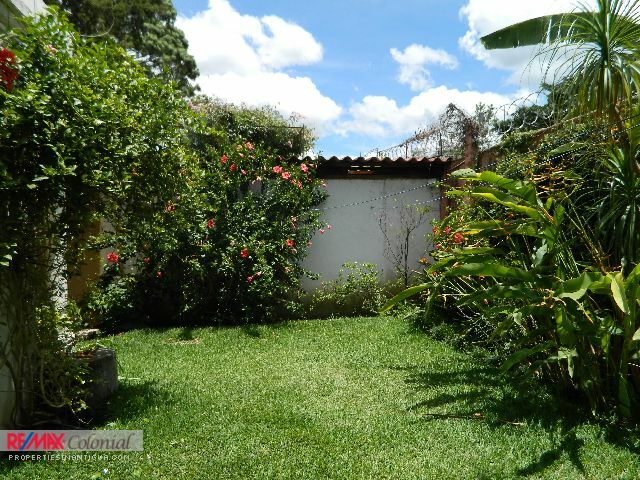 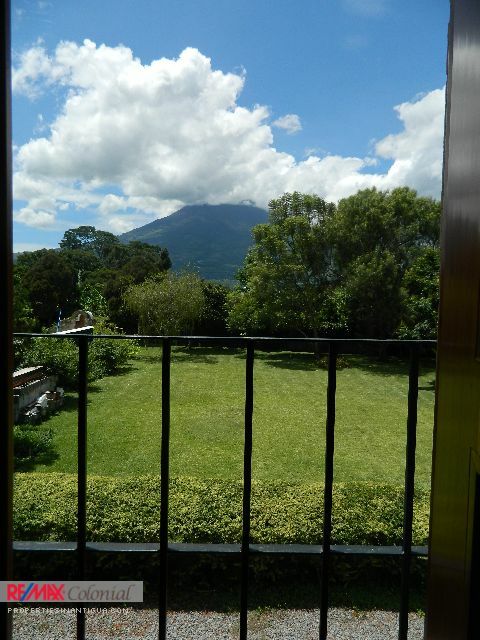 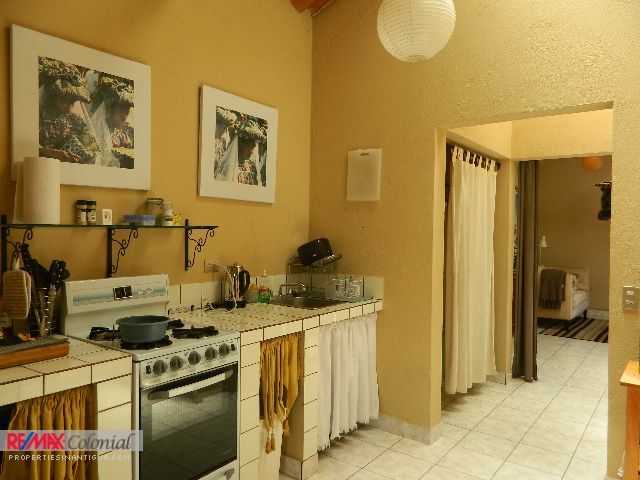 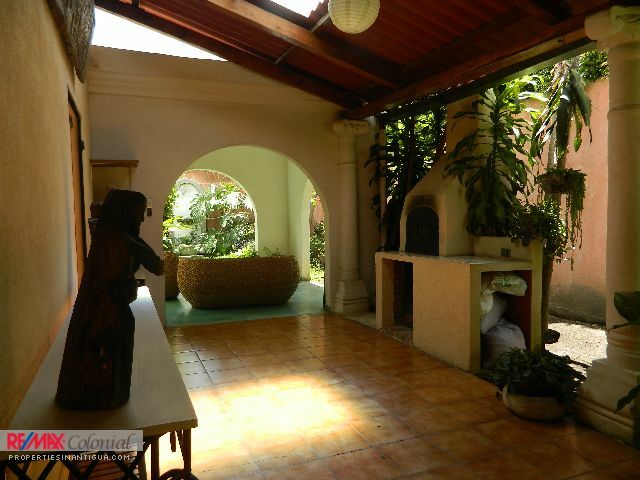 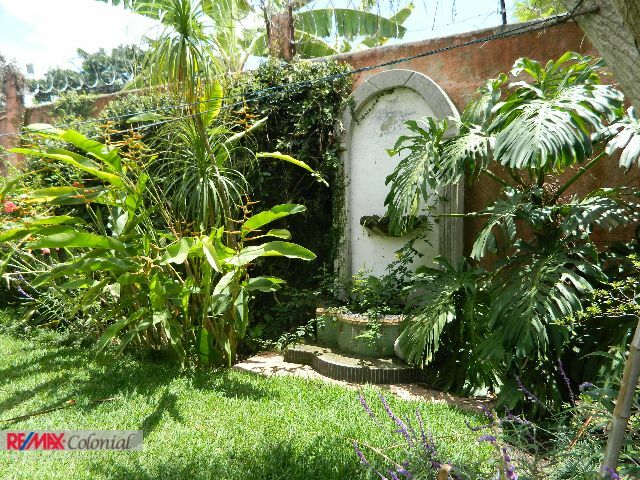 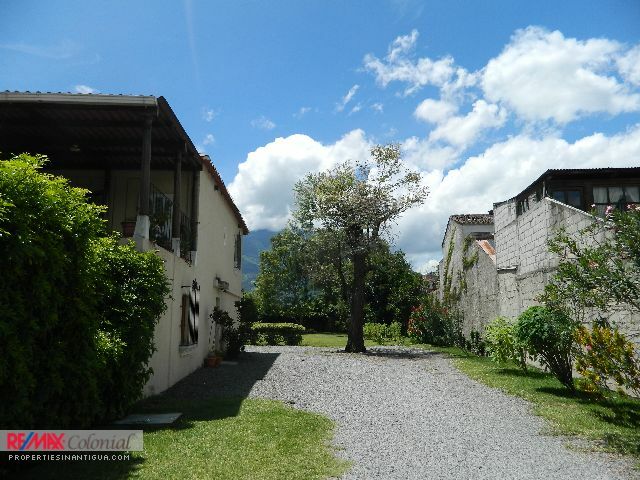 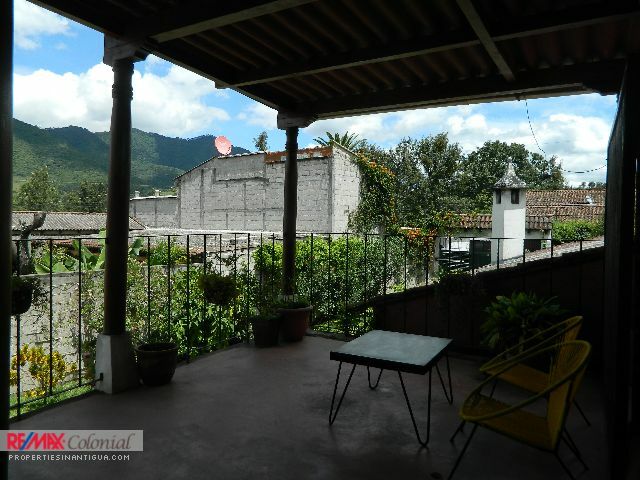 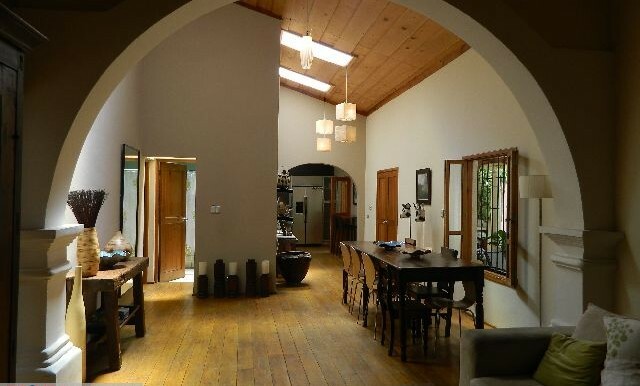 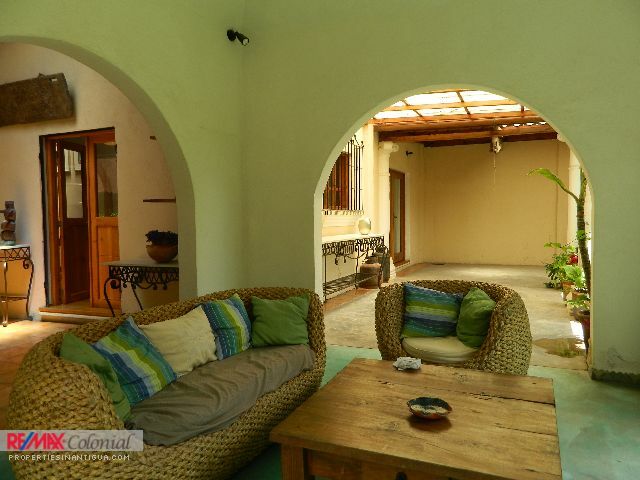 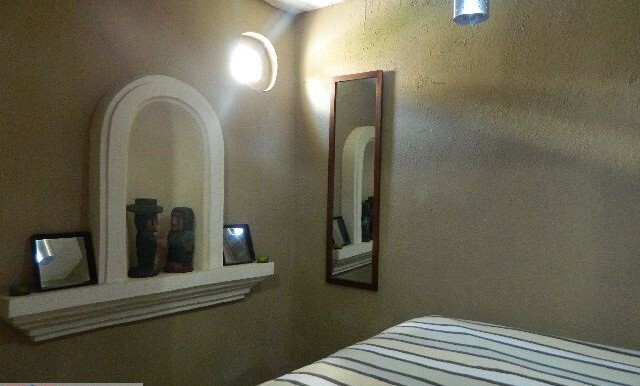 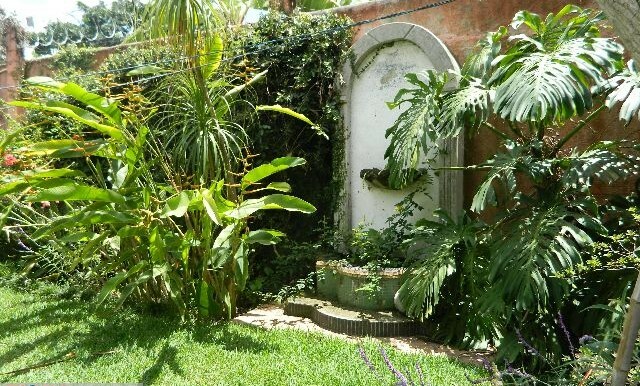 Located in a private complex of three houses, the complex is very safe, electric gate at the entrance, and the place is located just 7 blocks from central park of Antigua Guatemala. 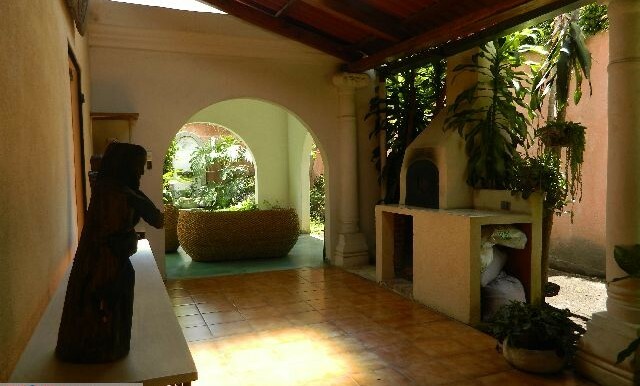 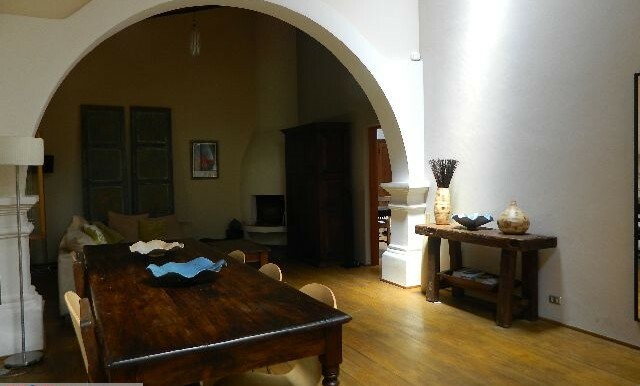 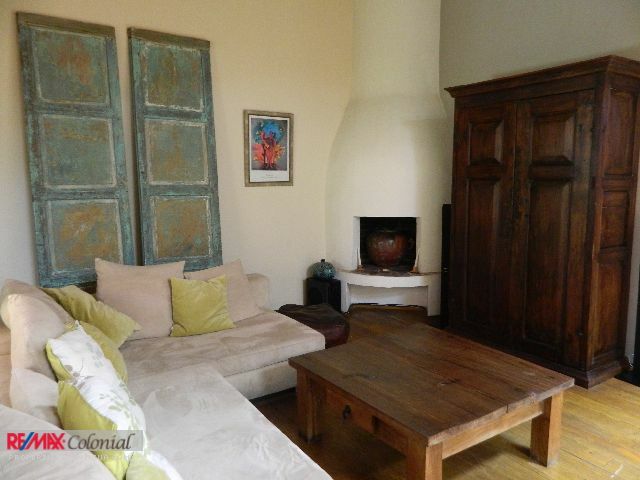 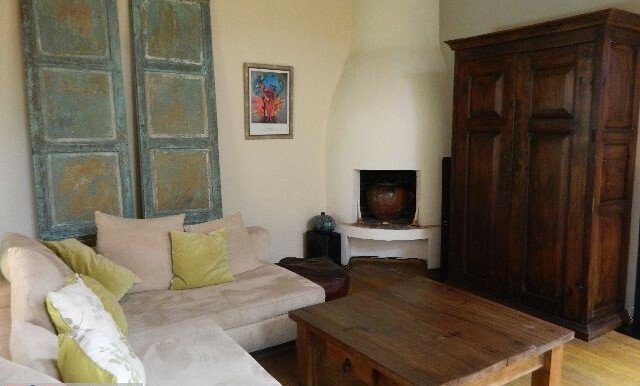 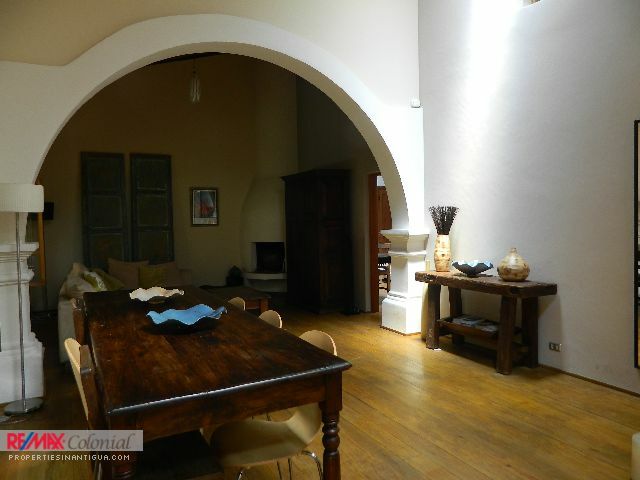 The house has: Garage for one car under cover, ample hallway with view to the garden, open seating area over looking the garden and a bucaro, a traditional wooden oven ideal for pizza. 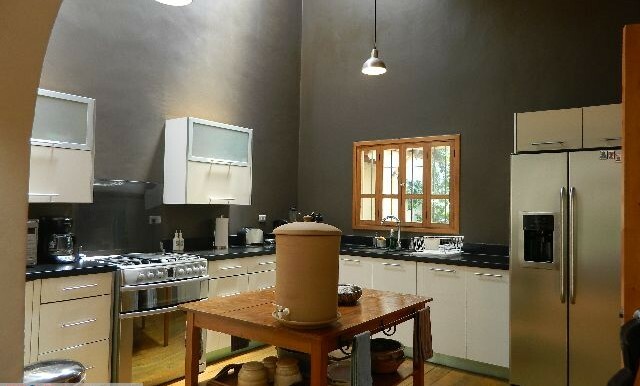 Modern kitchen with cabinets and a lots of natural light. 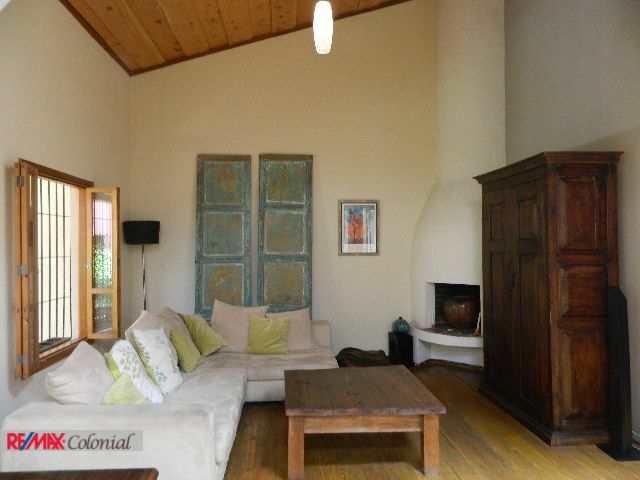 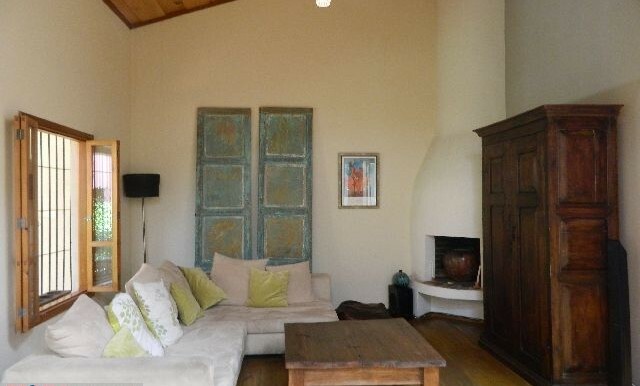 Living room with a fireplace, main room with its own bathroom and access to the back garden, guest bedroom with the option to built another bathroom, studio. 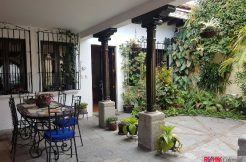 Adjacent to the house there is a very comfortable apartment with access totally independent,you can easily rent it and can return some money back. 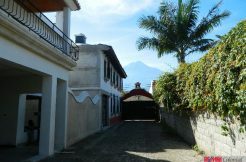 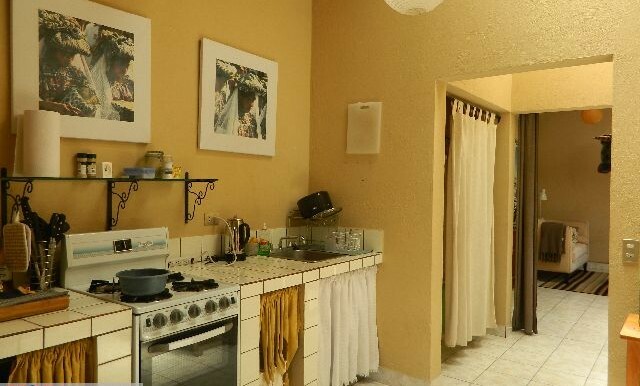 The partment has: one bedroom, one bath,kitchen,living room dining with a nice view ot the volcano, nice terrace. 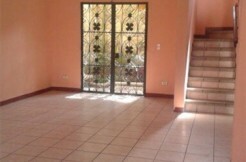 With furnished $320,000.00 Unfurnished $310,00.- Please call for appointments.!! 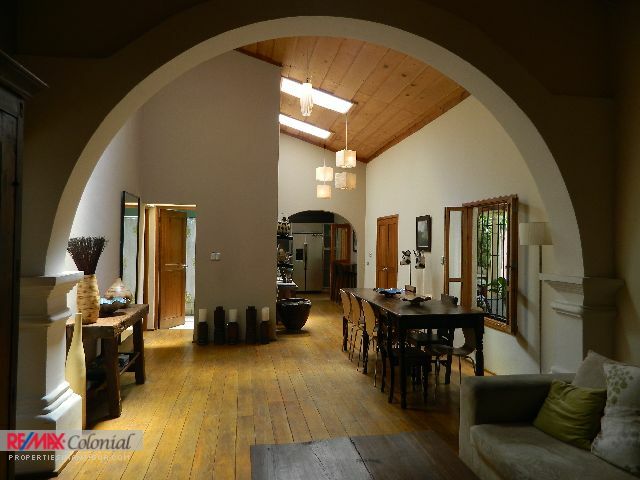 4187 COLONIAL STYLE HOME FOR SALE, IN SANTA ANA. 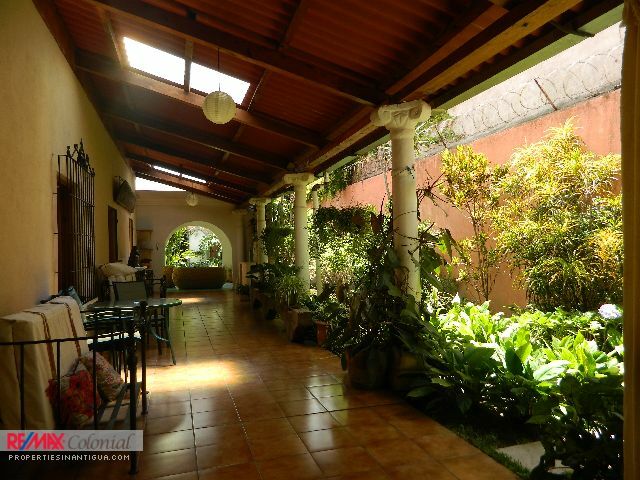 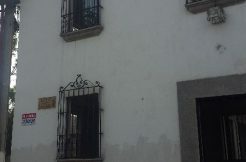 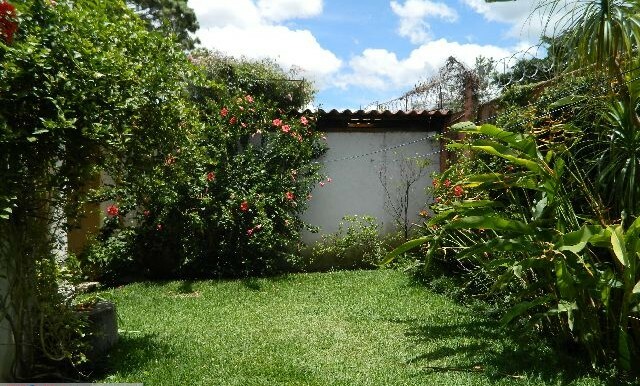 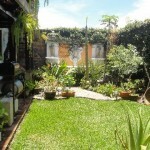 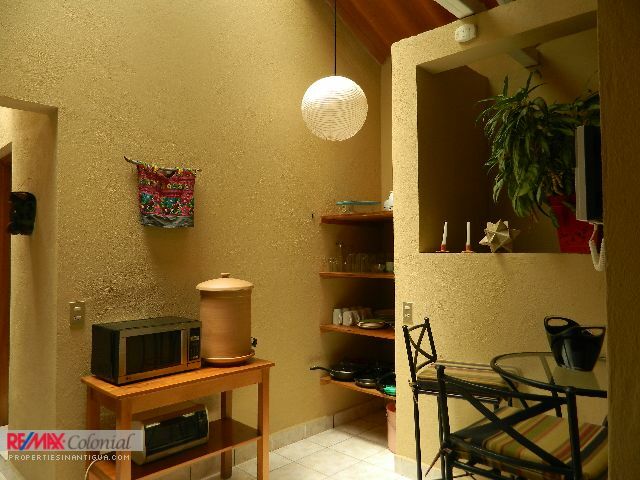 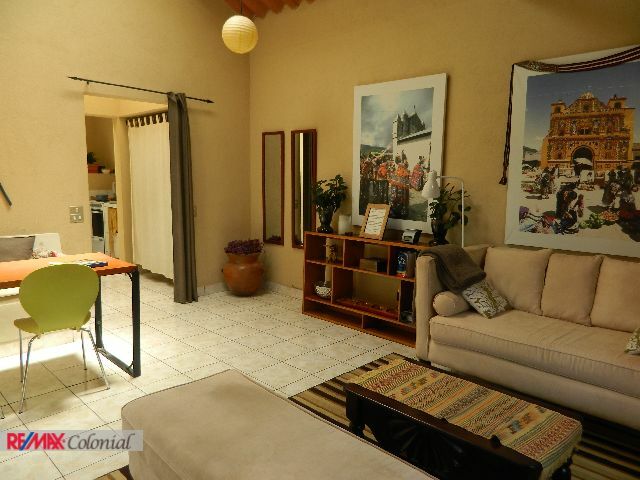 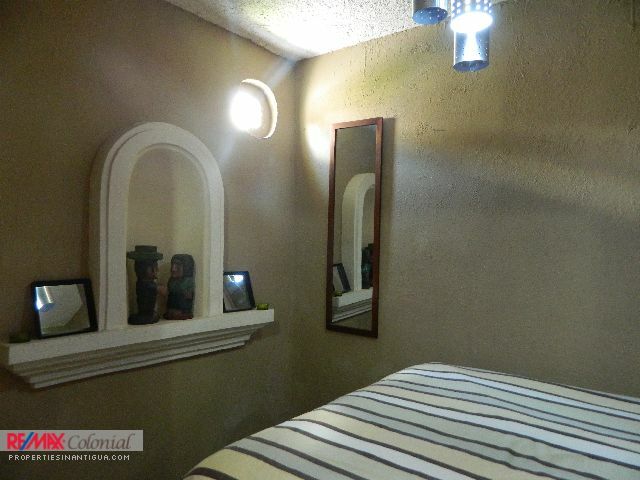 4204 3 BEDROOMS HOUSE IN A GATED COMMUNITY, IN CIUDAD VIEJACASA.